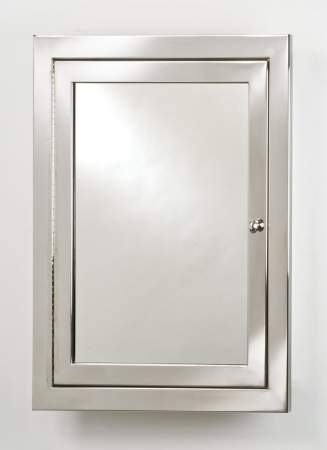 Frame Dimensions: Choice of Large 25" X 31"; Small 20" X 28"
Mirror Dimensions: Large 17" X 23"; Small 13 3/4" X 21 3/4"
Recessed Wall Opening: Large 22" X 28"; Small 18" X 25 3/4"
The addition of this single door medicine cabinet will add a sleek modern look to update the bathroom. 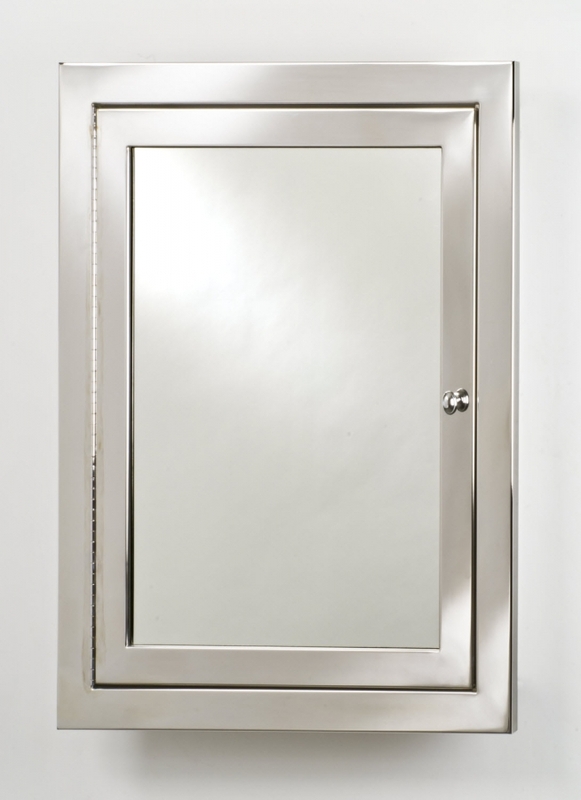 The stainless steel material that the frame is constructed of is available in a satin or a polished finish. The interior provides ample space for storage with three adjustable glass shelves. 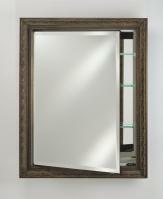 Material: This mirror is constructed of stainless steel. Stainless steel is a very pure form of steel and is used to make anything that requires resistance to chemicals and frequent cleaning. Just like regular steel, stainless can be bent cut and welded into any shape and also comes in a variety of standard shapes and thicknesses.